Which would you prefer: $1,141 or $2,757 per month from Social Security? Which would you prefer: $314,916 or $496,260 from Social Security by the time you reach 85? You've worked hard all of your life. We want you to get the most out of your Social Security retirement. This course can help you with those decisions. 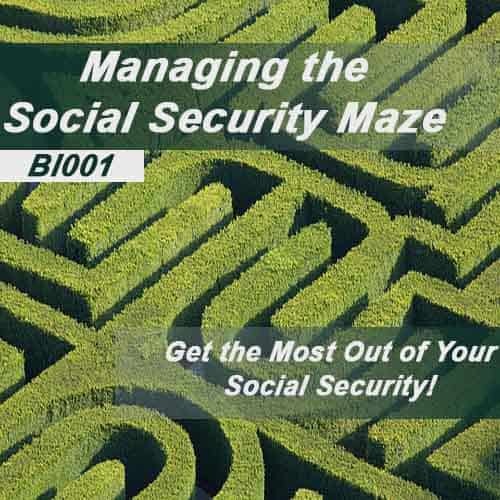 This course teaches you what you need to know to make decisions about Social Security that will affect your bottom line (SS payments) by $1,800 a month, $20,000 a year, or over $200,000 by the time you reach age 85. This course will help you with completing your application for Social Security and determining what benefits you may receive. It also takes a look at the Medicare Program, the ins and outs of disability under Social Security, the Supplemental Security Income program, and Medicaid eligibility. Armed with this knowledge, you will be able to make more informed decisions about Social Security. 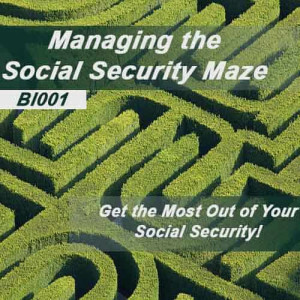 Managing the Social Security Maze consists of seven units. What is Social Security? - This unit gives you information about the purpose, background, history, and future of the Social Security System. Applying for Social Security - This unit discusses Social Security eligibility and when you should apply for Social Security. Social Security Benefits - This unit will give you information about how the Social Security Administration calculates your benefits, the timing of your retirement decision and its effects on your benefits, spouse and family benefits, the maximum and minimum retirement benefits, COLAs, and death and survivor benefits. Medicare Benefits - This unit describes Medicare, its four parts, how to apply for Medicare, and what to do once you are enrolled. The Ins and Outs of Disability Retirement - This unit defines disability and addresses the process of applying for Social Security disability benefits. It also shows the steps to take if you are denied this benefit. It also addresses the 5-month wait for benefits as well as Medicare eligibility. It concludes with a look at the "Ticket to Work" program for vocational rehabilitation. Supplemental Security Income (SSI) - This unit covers the definition of Supplemental Security Income, who is eligible for SSI, the process for applying for SSI, the documentation required to apply for SSI, the timing of your application, and your rights under the SSI program. What is the Medicaid Program? - This unit addresses the Medicaid Program, the differences from state to state, and the key eligibility groups. Need more information? Click Here to view the Syllabus. This is a course every American should consider taking. 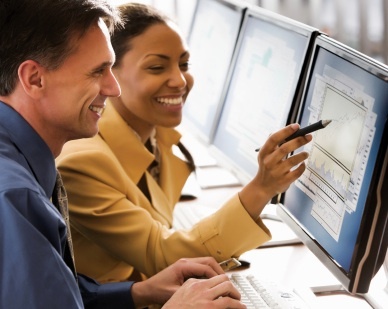 Decisions made early in your career can affect your Social Security benefits!